Watched Perks of Being a Wallflower last night. Good movie. Some classic scenes. Love Emma Watson dancing to Come On Eileen. Takes me back in time as I used to live in Pittsburgh. My teenage girls love the book and the movie. Oooooh, I did not realize this was out. Wait, is this still in theaters? [QUOTE=ALMFamily;589398]Oooooh, I did not realize this was out. Wait, is this still in theaters? Purchased the movie on my Apple TV and watched in my HT. Figured a purchase would be worth it, since we'll watch the movie numerous times. I don't believe the Blu-Ray/DVD will be available until this Tuesday. Definitely check it out. 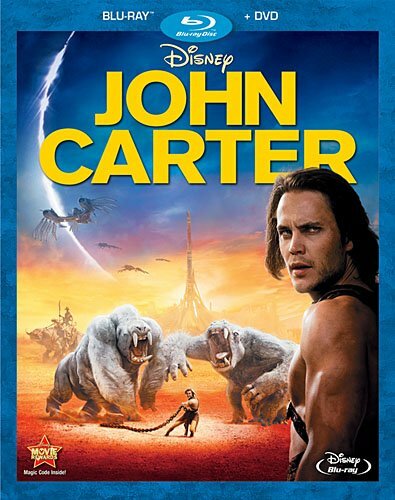 Tonight my grandson (10) picked John Carter. The movie tanked at the box office but I found it entertaining. Disney gambled on two unknown actors for the lead roles. I think the movie would have done a lot better with a leading man movie goers knew. Still a fun space tale. We watched that two weeks ago. Entertaining certainly. My Wife is a huge SciFi reader, and knew this character from Her past reading. She watched it twice. We enjoy movies without 'Stars' cast in them. Sometimes they are a flop, other times they are done wonderfully. Just watched Skyfall and I must say what a great movie. This is one of those movies that makes the projection home theater all worth it. Fantastic cinema, awesome soundtrack and a true theater experience.